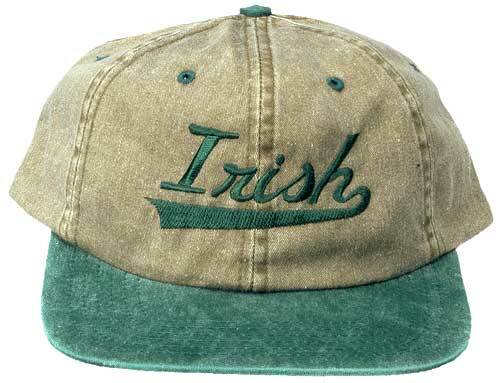 This khaki and washed forest green Irish cap features an embroidered baseball style script. The Irish ball cap is 100% washed cotton twill and it features an adjustable leather strap with a brass buckle; the one size will fit most adults. This is just one of the many Irish caps that are available at The Irish Gift House.